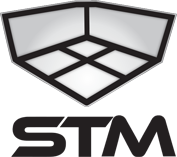 BagJump offers premium quality airbags designed specifically for the trampoline industry. STM has partnered with BagJump to provide your trampoline park with the most innovative solution for your airbag attraction. Whether you're looking for a foam pit replacement or a new attraction, we can customize an airbag for you.